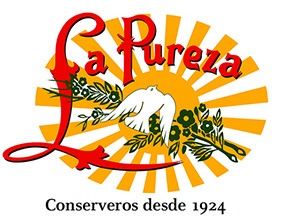 "Cabo Ortegal" - Conservas de pescados La Pureza S.L. 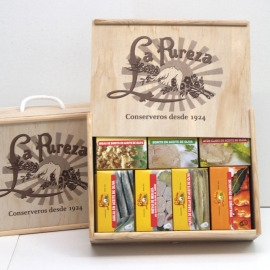 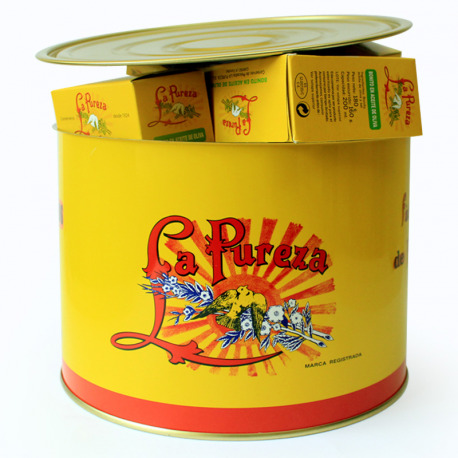 > Give La Pureza as a gift>"Cabo Ortegal"
3 tins of albacore tuna, 2 tins of little sardines, 1 tin of mackerel, 2 tins of mussels, 1 tin of tuna fish pieces, 1 tin of Atlantic horse mackerel, 1 tin of spicy sardines and 2 tins "ventresca"
Cabo Ortegal is one of the most valuable treasures in our land, a place that is full of surprises ... which is why we have named our surprise tin after it. 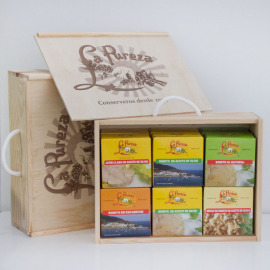 The perfect gift, full of taste and sensations! The tin is delivered closed.